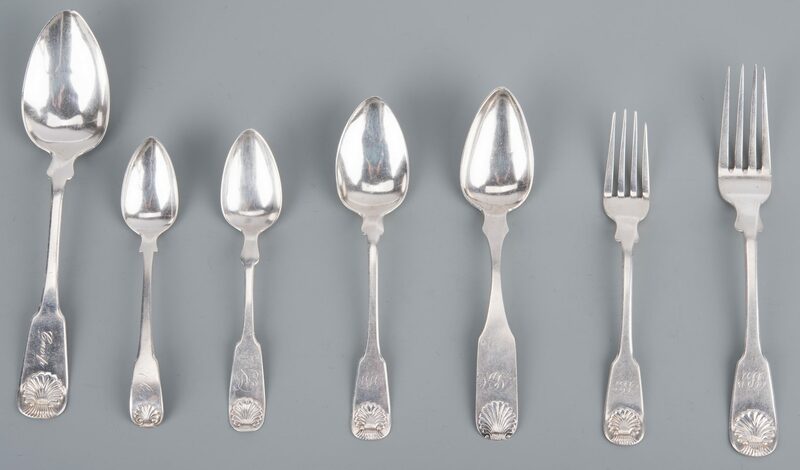 33 pieces American shell-handled coin silver flatware, most bearing the rare mark of Marshall and Smith, a short-lived partnership in Philadelphia, circa 1837. 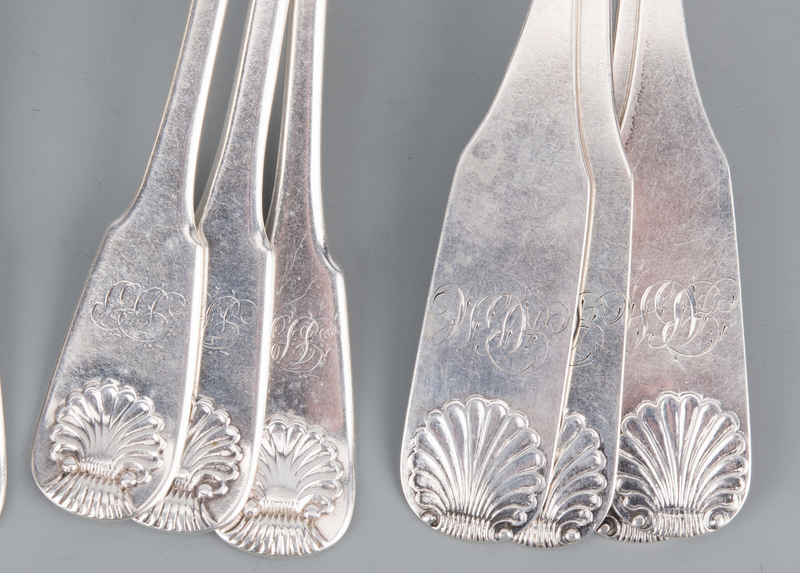 Comprised of 21 pieces with Marshall and Smith mark, including 7 dinner forks (4 monogrammed Camp, 3 monogrammed JBP), 6 salad forks (monogrammed JBP), 2 tablespoons (monogrammed Camp), and 6 dessert spoons (monogrammed JBP); plus 4 shell handled dessert spoons marked Curry & Preston Standard (working Philadelphia, 1825-1831, monogrammed ABM), 6 shell handled teaspoons marked for R & W Wilson (working Philadelphia, 1825-1846, monogrammed EAB), and 2 shell handled teaspoons marked BW & Co. (mark unidentified; monogrammed CR). 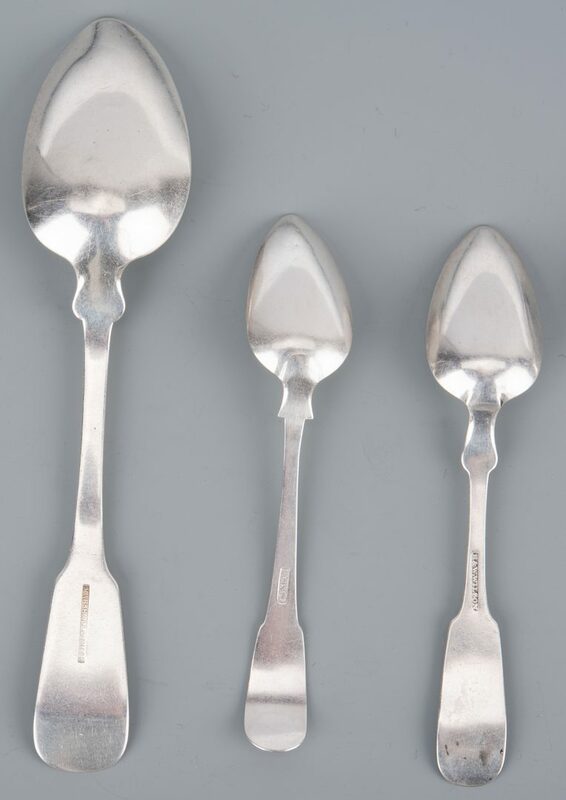 According to the book Philadelphia Silversmiths by Catherine Hollan, Marshall and Smith (first names unknown) were listed as Jewelers in the Philadelphia City Directory of 1837. At the time of publication, only one spoon bearing their mark was known. 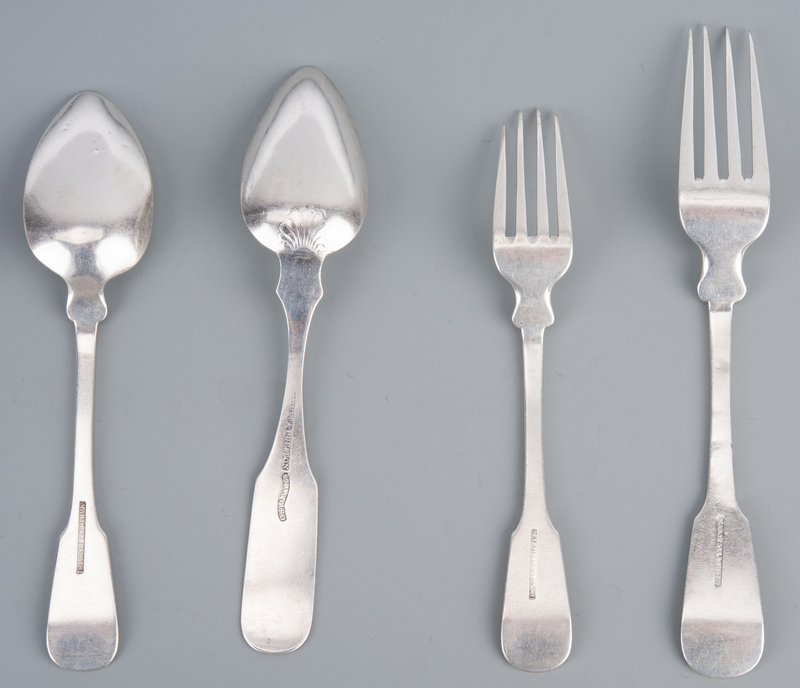 Marshall & Smith flatware: 35.25 oz troy. Total weight: 45.03 oz troy. Provenance: The living estate of Dr. and Mrs. Benjamin H. Caldwell, Nashville, TN. 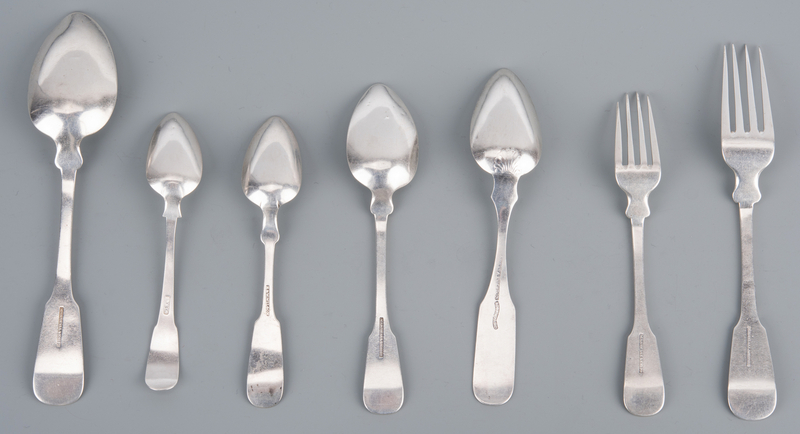 CONDITION: Some spoons exhibit some minor wear to tips and small minor dents (mainly tablespoons), but overall very good condition.